Badlands National Park is located in southwest South Dakota, east of the Black Hills. 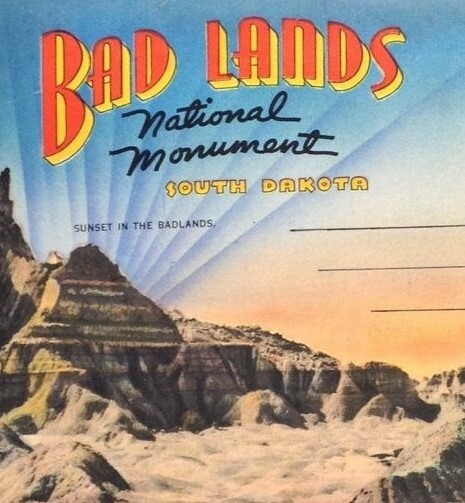 Established first as Badlands National Monument in 1929; these eroded buttes, pinnacles and spires tower over the largest protected mixed grass prairie in the United States. 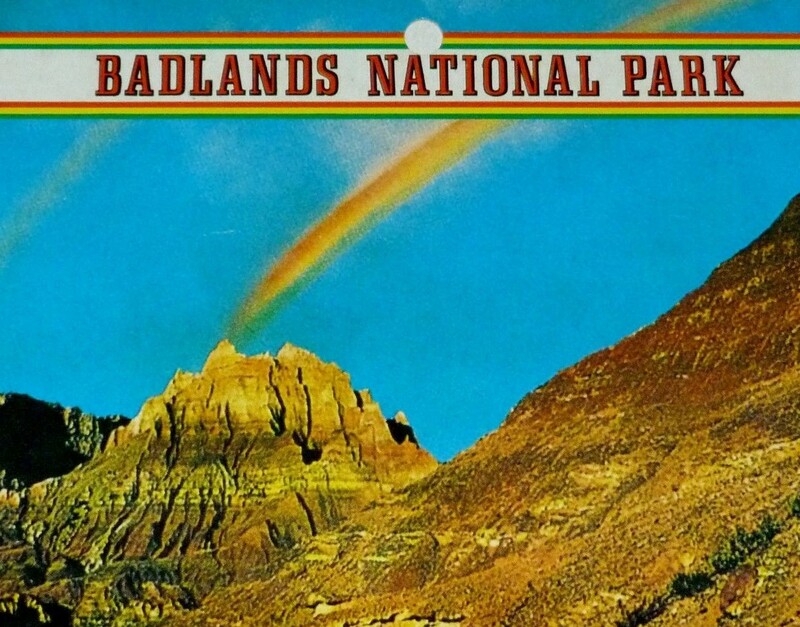 In 1978, Badlands became a national park, containing over 242,000 acres of uniquely scenic geology. Badlands National Park is marked by rugged terrain and rock formations resembling landscapes from another world. Millions of years of wind, water and erosion have painted a colorful landscape on the prairies of southwestern South Dakota that is now called Badlands National Park. Amazingly beautiful, yet mystical, the Badlands received their name from the Lakota Sioux tribe and French fur trappers. The Lakota first referred to this place as “Mako Sica”. Later, French trappers would called the area “les mauvaises terres a traverser”. Both of these names are translated into English as “bad lands”, or “a difficult place cross”. Visitors can explore Badlands National Park on foot, on horseback or by car, traveling the scenic loop or roaming the many trails that run through this South Dakota natural wonder. Badlands National Park is one of the United States’ largest protected mixed grass prairies. Badlands National Park is home to many animal species including American bison, prairie dogs, bighorn sheep, coyotes, wild turkeys, mule deer, antelope, swift fox and the endangered black-footed ferret. More than 64,000 acres of the most pristine sections of Badlands National Park have designated as a wilderness area and are managed by the National Park Service. The Badlands Wilderness, was designated by Congress in 1976. Located entirely within Badlands National Park, Badlands Wilderness is a place where buffalo and other wildlife still roam free. It is also a sanctuary for the black-footed ferret, one of the most endangered mammals in North America, which has been reintroduced into Badlands Wilderness. Badlands National Park also contains one of the world’s richest deposits of fossils. The remains of many prehistoric animals from the Oligocene epoch can be found in Badlands National Park. Over the years, paleontologists have found the remains of ancient three-toed horses, small deer-like mammals, prehistoric turtles, saber-toothed cats and other prehistoric animals in the national park area. Approximately half of Badlands National Park lies within the Pine Ridge Indian Reservation and the national park contains several sites that are considered sacred to the Oglala Lakota. The Stronghold Unit of Badlands National Park is one such site. In the late 1800s, Sioux Indians performed their Ghost Dances at this site. The National Park Service and the tribe co-manage this part of the national park, commonly known as the South Unit. This area of the park is mostly undeveloped, with minimal access by road. Those seeking extreme adventure can hike through this wilderness to get a more intimate view of Badlands National Park.